With the introduction of the Glyph Palette in Photoshop CC, we now have access to thousands of new character sets! This course is designed to dive into these, and open the world of Glyphs to you! In addition, together we will create a piece of wall art. 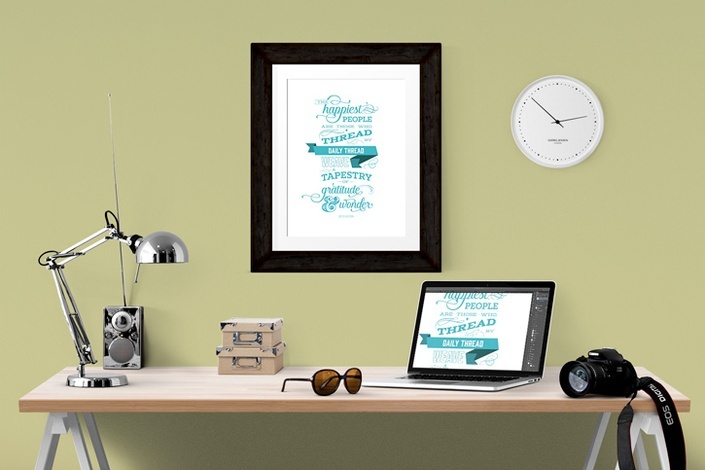 "Thread By Thread" is a beautiful 11x14 inch poster which you can print to hang in your home, or give as a special gift. It reminds us to keep our hearts grateful and our eyes full of wonder as we go through the world. I'm so excited to share the techniques with you, AND to help you create this beautiful artwork. When you register for Glyph by Glyph, you'll receive more than an hour of video lesson, recorded in gorgeous HD in my clear and easy-to-follow style. You'll also get our famous printable PDF walkthrough, so you can follow along AND access the content at your fingertips later! In addition, you'll also receive an exclusive bonus for this class! 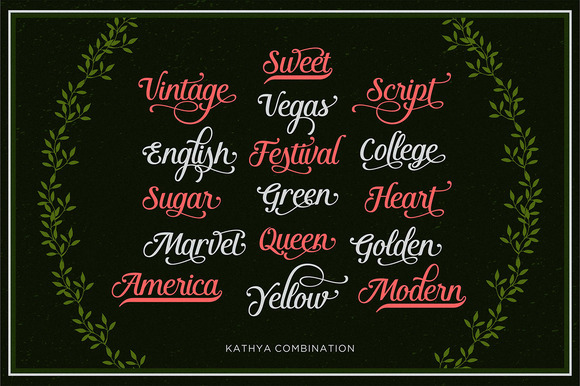 You'll receive the fully-licensed Kathya font by Seniors Studio for FREE! (that's the flourishy one you see in the poster right there), a $15 value. With this included font, my class and this gorgeous learning opportunity are almost FREE! Seriously, I am so excited about this. Big thanks to Seniors Studio for participating with us! Check out the delicious you'll get for FREE! 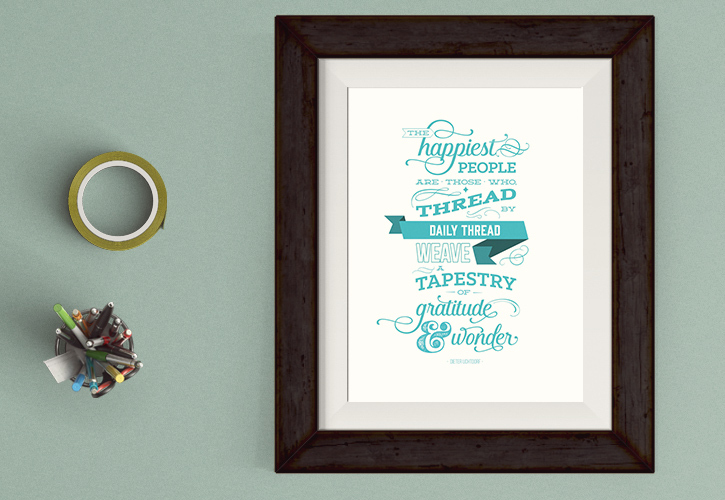 The Thread By Thread, Glyph By Glyph course is a great introduction into glyphs! 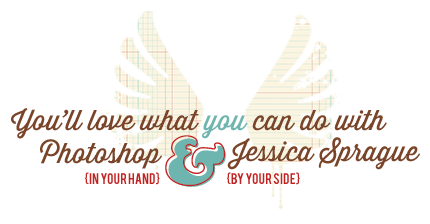 By the end of class, you will know how to use the Glyphs Palette to create gorgeous custom projects! How awesome is that? We love to see your photos and cherished albums, and with every JessicaSprague.com course, there are many different ways to get in touch to show off your art, or ask a question! 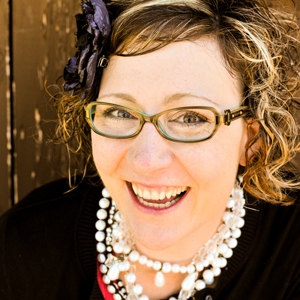 Register now, and I'll see you in class!